Babies are truly a blessing and hold a special place in a mom’s heart. I am lucky enough to have two precious little boys that keep me on my toes! My oldest son is completely into superheroes and is starting to think that mommy’s lullabies and bedtime stories aren’t as cool, but thankfully my 1 year old little boy still enjoys my cuddles! 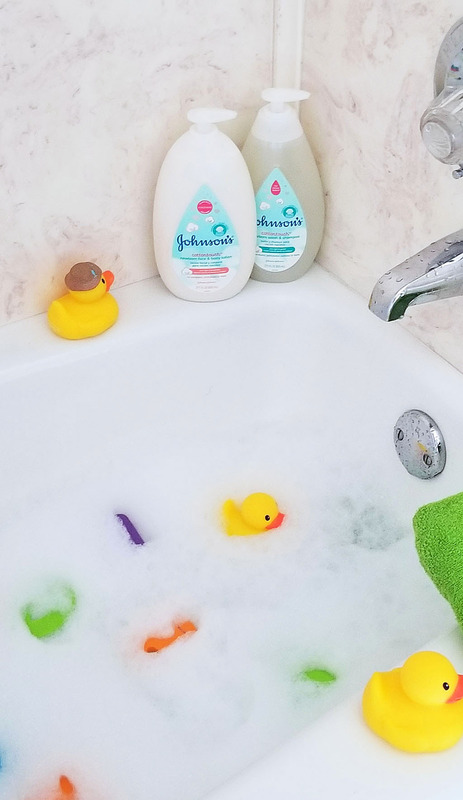 Because our babies seem to grow up right before our very eyes, it’s important that we enjoy every moment with them; even the small moments such as bath time! Bath time is a special time in our home! It’s a time that’s dedicated to my boys and lets them know that bedtime is near! 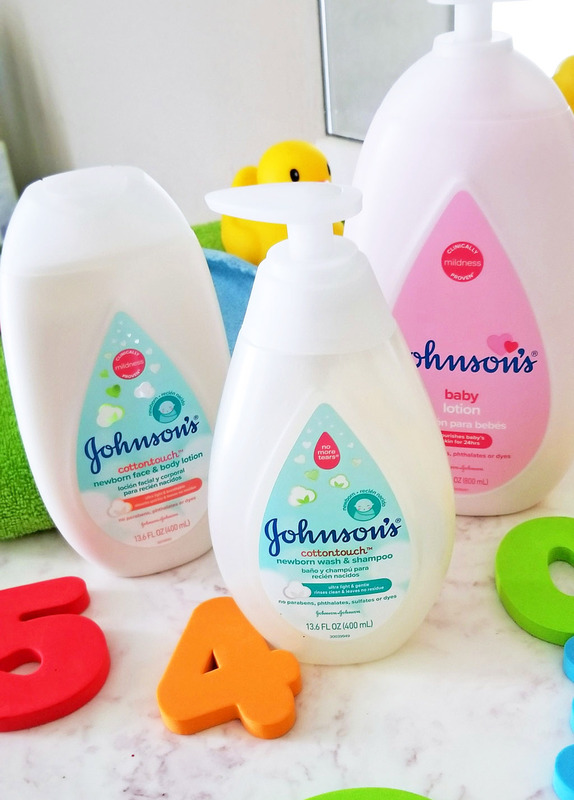 During our bath time routine, I love to use the newly reformulated JOHNSON’S® products! 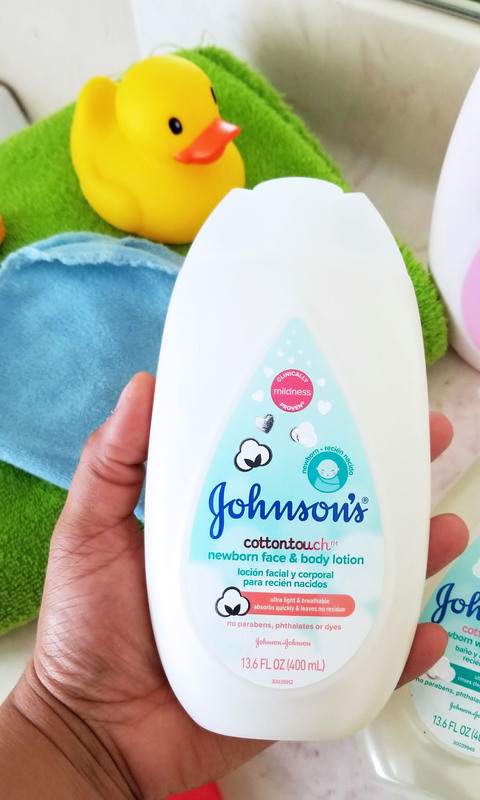 I’ve been using JOHNSON’S® products since the day my kids were born because it’s specially designed for a newborn’s delicate skin, and it has over 90% naturally derived ingredients! My new favorite products are the COTTONTOUCH™ Wash & Shampoo and the COTTONTOUCH™ Daily Face & Body Lotion. They leave my son’s skin feeling incredibly soft and absorb fast! When I spotted these in Rite Aid, I made sure that I stocked up! I love shopping at Rite Aid, especially for my health and wellness products! They have everything that I need for my entire family! I’m fortunate to have a Rite Aid within 5 minutes from my home so I’m there almost every other day! I can’t help it! I love taking advantage of their awesome deals! 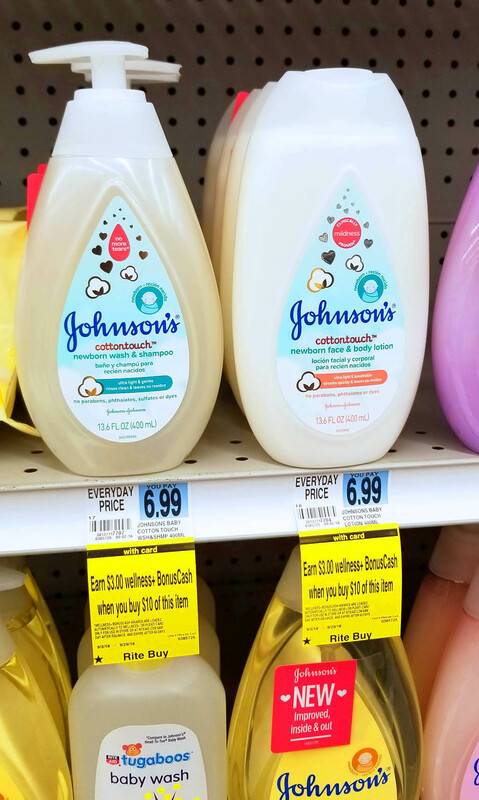 And speaking of deals…while supplies last, you can save $1 on any 1 JOHNSON’S® lotion, wash, or hair care item. Just click HERE! 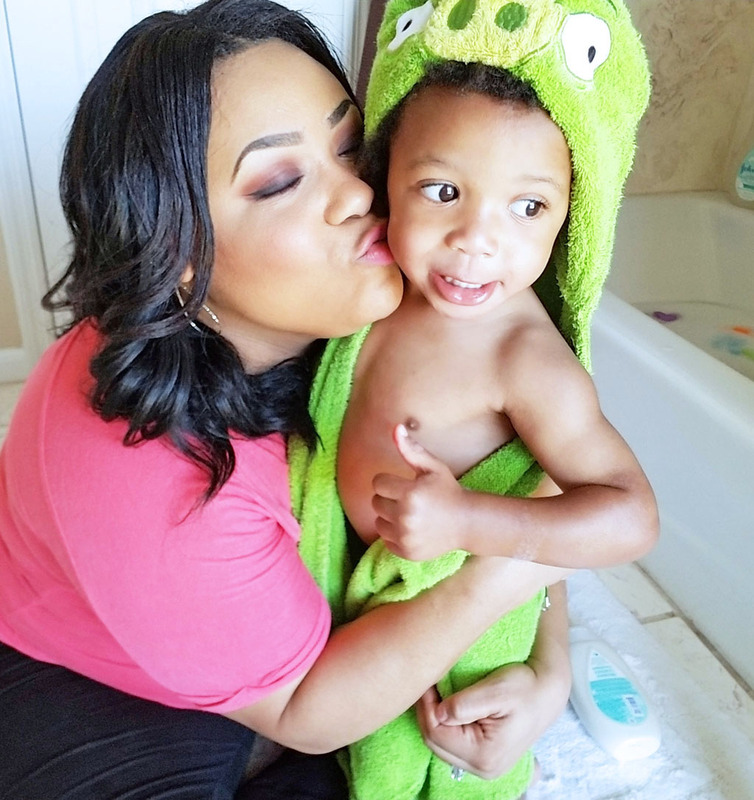 Since my oldest son likes to take super quick baths (because he’s a superhero), this leaves time for me and my youngest son, Caden to spend a little extra time together! I make sure that he has his special bath toys and I fill the bathtub with the COTTONTOUCH™ Wash & Shampoo! When he gets into the bathtub, he likes to play with the bubbles and splash water EVERYWHERE! Lol! I let him play for a little while and until it’s time to dry off…which is the fun part!! What’s so fun about drying off?? Well my son is extremely ticklish so I like to pretend that I’m the “Tickle Monster” as I’m drying him off! He laughs every time, which makes me smile and melts my heart! After he’s nice and dry, I like to moisturize him from head to toe with the COTTONTOUCH™ Daily Face & Body Lotion. This really relaxes him and allows him to have a wonderful good night’s sleep! By the time I’m finishing up moisturizing the last little toe, his eyes are halfway closed which means it’s time for lights out and goodnight kisses! JOHNSON’S® products are a tradition in my family and have been linked to many wonderful childhood memories. I hope that my kids will pass this tradition along to their kids and create a special bedtime routine of their own! 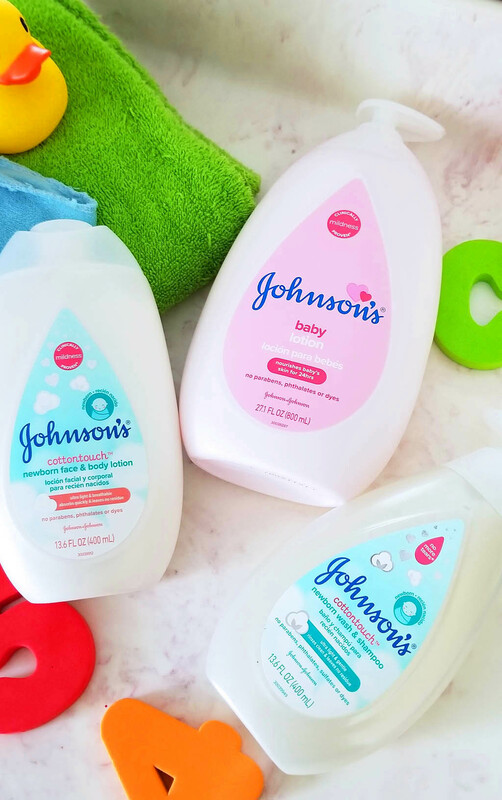 Click HERE and shop for JOHNSON’S® products at Rite Aid!